I love Our Blessed Mother! My devotion to Mary is easily shared with my third graders. In my classroom there is a print of Our Lady of Guadalupe, an icon of Our Lady of Perpetual Help, a statue of Our Lady of Grace, and a poster of Mary, Undoer of Knots. Even more images of Mary can be easily shown on an interactive whiteboard. When we celebrated the Queenship of Mary, I found 20 different images of Mary to share with my class. We challenged ourselves to recall Mary’s special title for each picture. I like to share Mary’s many stories and images. I search online for simple coloring pages that my students can color while I share a story of Mary. I have coloring pages for Mary’s birthday (September 8), Our Lady of Sorrows (September 15), and Our Lady of Guadalupe (December 12). My students take their pages home and are encouraged to share what they learned with their families about each Marian feast day. This gives children a chance to teach their parents. I hope to add some more pages for her other feast days to my files. Besides praying the Rosary with my students, one of my favorite Marian practices is praying a Hail Mary when we hear emergency sirens. Since our school is located next to a main street, we hear sirens often. When the first sound is heard, we all stop and I say, “Mother Mary, please place your loving arms around this person.” Then we all pray the Hail Mary. This has become a very powerful prayer experience for us. A few years ago, a man died one morning while working out at a gym near our school. We heard the sirens that day, and we prayed our Hail Mary for him. Our sixth-grade teacher knew the man’s family, and she shared with them that our school prayed for him when we heard the sirens. They were profoundly touched that my students—who didn’t even know him—prayed for him. Mother Mary did place her loving arms around this man’s family! The Blessed Virgin Mary is our model for catechesis. Not only was she Christ’s mother, she was his first teacher and his first disciple. As religion teachers and catechists, devotion to Our Lady will help us proclaim Christ to the students entrusted to our care. What role does the Blessed Virgin Mary play in your prayer life? 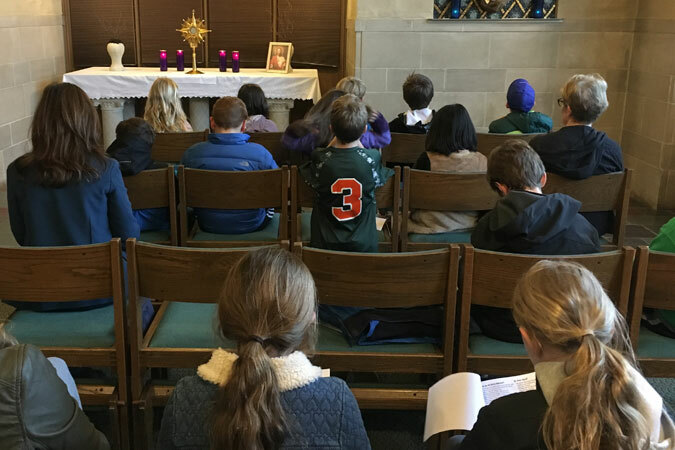 How do you share your devotion to Our Lady with your students? 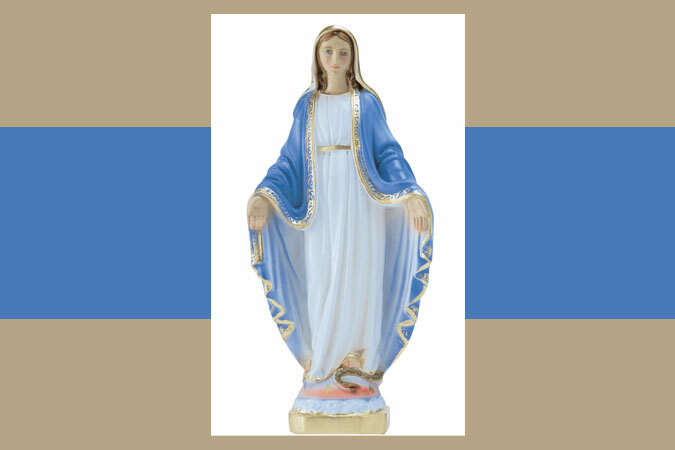 Download a poster of Marian devotions for your classroom. Using the brand new Mary, Our Mother plush doll from Loyola Press as well as a slightly modified version of the online printable about a day with Mary, I’ll be sending home 6 dolls with 6 Religious Ed. Families over the next few months. I put each doll in a small shoe size box along with Mary’s “accessories” (baby Jesus, Hail Mary scroll, water jug, rose) and a pamphlet on praying the rosary for kids along with a set of rosary beads as well as the “time with Mary” sheet. 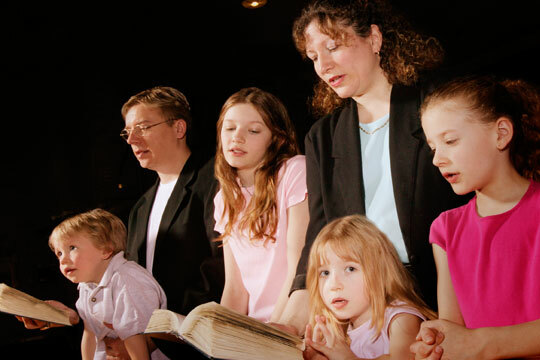 In my letter home to families I encourage them to learn a prayer to Mary, read stories about Mary from the Bible, learn a song about Mary, learn about an image of Mary from a different country/culture, donate time and/or resources to an organization that works with mothers and children, pray the rosary as a family etc. The goal is getting families to talk about and learn more about our Blessed Mother! Leah, what a beautiful idea! How about adding a digital part to this activity and have your students take a selfie with the Mary doll and have their parents email it to you. That would make such a dear picture!